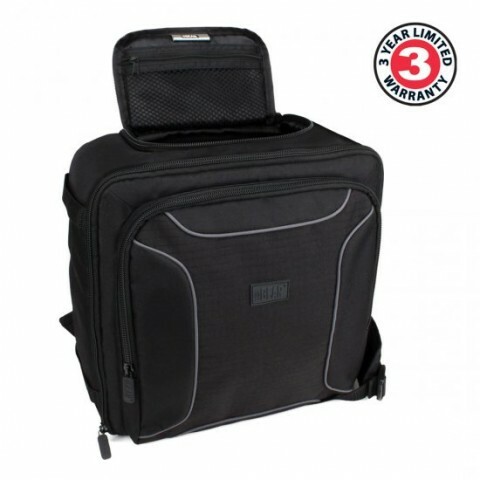 This backpack features a rugged, weather-resistant Nylon exterior that helps absorb damage from drops and dings. 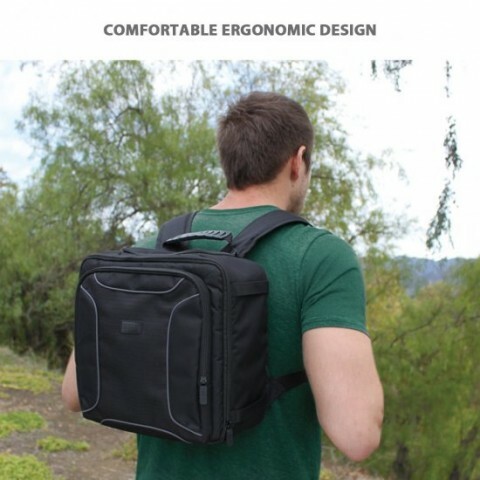 The inside is constructed with a soft, scratch-resistant Nylon that will keep your device and accessories safely cushioned and looking brand new! 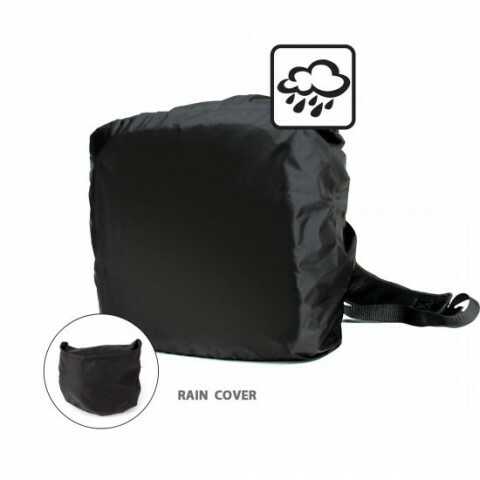 And if the weather gets bad while you're outdoors, the pack also comes with a rain cover so you can protect your equipment even when it's pouring! 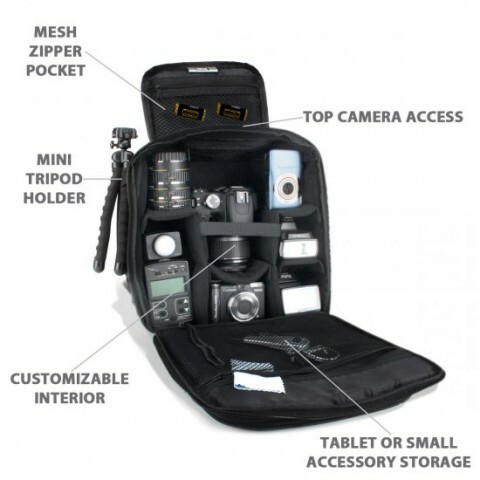 It has 3 mesh accessory pockets located within the pack, along with a customizable series of Velcro wall dividers designed to give you the perfect fit for your device. 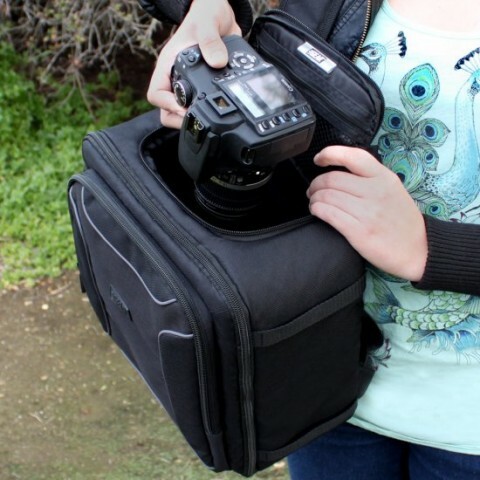 Use it to store cameras, lenses, diffusers, memory cards, cables, and much more. 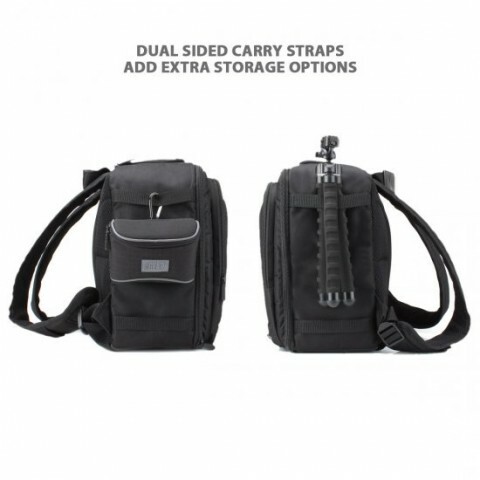 The pack also comes with carry straps along either side of the pack for clipping on or tucking in extra add-ons like mini tripods or compact camera cases. 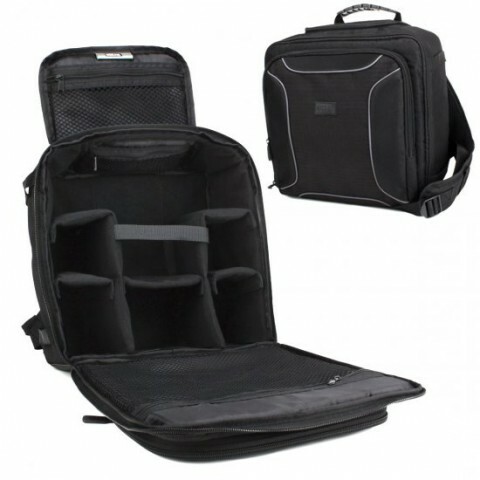 With a compact form factor and lightweight design, this bag is ideal for the on-the-go photographer. You can quickly access your DSLR with the handy top-loading storage pocket, so you never have to worry about missing that perfect shot again. 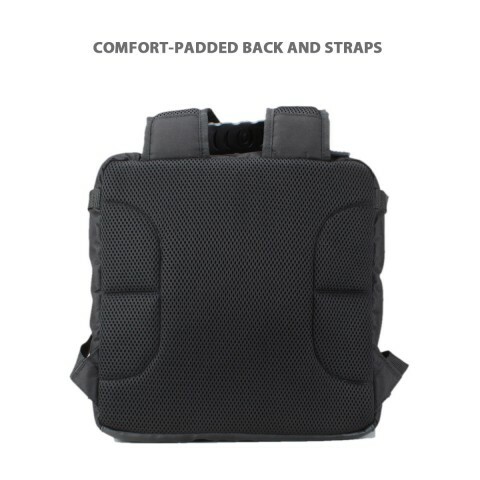 It's also constructed with a comfort-padded back and carry straps, so you can wear it on long walks and hikes with ease.